Ford vs. Buick: Can I Get An Encore (or an Escape)? 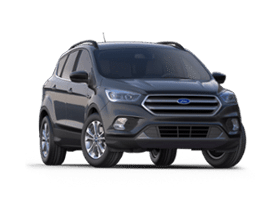 When it comes to looking for a reliable and versatile SUV, the Ford Escape is synonymous with both of these things. It also comes packaged in an incredibly affordable price, starting at $26,399, further adding to the fact the Escape offers a great value. While it may not seem like a premium mid-size SUV like some of its competitors, you’d be surprised by how much better it does in comparison. Take a look at how the Ford Escape stacks up against the Buick Encore, here at your north Edmonton Ford dealership. At just $1,000 less, the Ford Escape is still the better-performing vehicle in comparison. 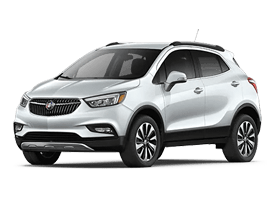 It’s excellent 1.5L EcoBoost® engine produces a superior 179 horsepower and 177 lb-ft of torque, while retaining a fuel economy extremely close to the Buick Encore’s 1.4L engine. Additionally, the Ford Escape has a 4×4 drive, giving you more options for off-road driving while the Encore’s sticks with All-Wheel Drive. Inside, you’ll find that the Ford Escape offers you more—literally. No matter whether you want more passenger or cargo space, it’s does a great job giving you as much room as possible for any situation. Not only does the Escape have the better maximum interior cargo volume with the seats down, but it also has the largest cargo and passenger volumes with the seats up! Plus, the Escape also offers additional bonuses including more power outlets, as well as a rear parking sensor for added reassurance when backing out of tight spots. Test Drive the Escape, today!